Spread in 35 acres of lush land, ITC Mughal, a Luxury Collection hotel, Agra is a huge property, known for owning architecture, replicating a Mughal building. Its world-class facilities and services ideally befit the taste of the erstwhile royalty. The only winner of the Aga Khan Award of its architecture excellence in India, this hotel offers accommodation, dining and services, which are a hallmark of the Mughals. 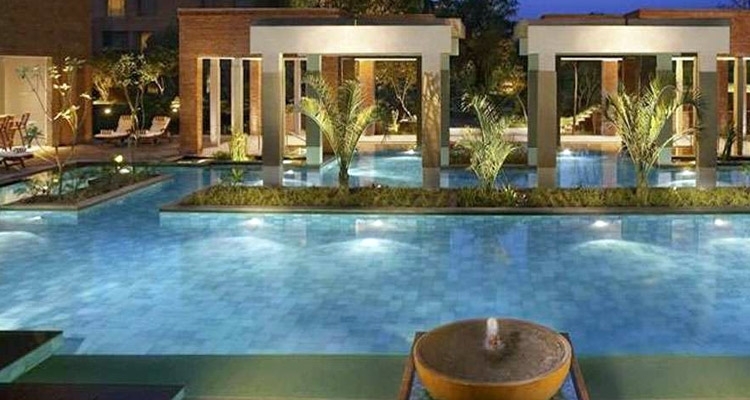 This 5-star luxury hotel is just 4 km away from the Taj Mahal. Kaya kalp- the Royal Spa offers a vast menu of Ayurveda as well as Spa services, based on holistic health approach. 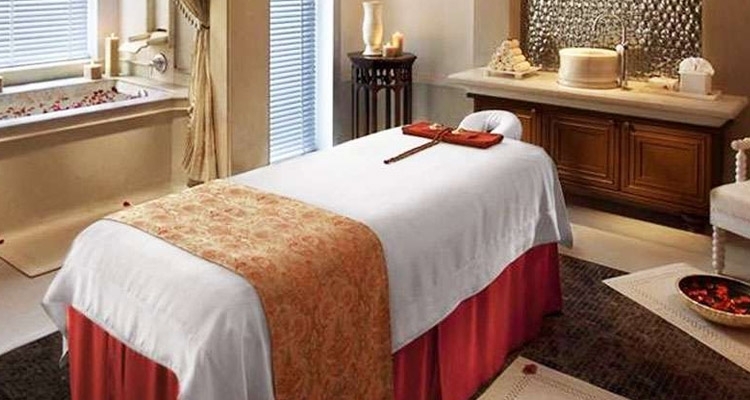 Covering an area of 99,000 sq feet, it is the largest spa in the country. The property boasts of smoke-free rooms and suites. Agra has 4 railway stations - Agra Cantt, Agra Fort, Raja-ki-Mandi, and Idgah Agra Junction, which are well-connected by regular trains to all the prime cities of the country including Delhi, Mumbai and Kolkata. The Agra city is well-linked by road to Delhi, Lucknow as well as Kanpur. There are government-run buses, private deluxe buses and private taxi cabs available. Befitting the taste of royalty, Grand Presidential Suites can be termed as a ‘hotel within a hotel’, boasting of amazing views of the hotels manicured gardens from them Jharokjas, an embellished interior, crafted Mashal torches , mother of pearl marble private bathrooms, temperature-controlled plunge pool, four poster beds with ornamented canopies, leather- embossed walls and so on. These well-fitted suites come with an outdoor sit-out area, Champagne on Check-in, dedicated butler, access to the pool, Jacuzzi and steam room of the spa and more. Named after Tansen, one of the Navratans or nine jewels of the court of Akbar, this 2-room suite boasts of delicate beauty, services a dedicated team of associates and state-of-the-art facilities. Have a laid-back vacation and a comfortable stay amidst a warm ambiance and ultimate luxuries. The suite has been opted for stay by VIPs like Nelson Mandela - the former President of South Africa, his Royal Highness Prince Charles and Lady Diana, His Holy Highness the Dalai Lama and so on. Named after Raja Mansingh, one of Emperor Akbar’s most trusted advisors and Navratans, this suite is a blend of rich ambiance and luxury facilities. A beautiful ornamented Jhoola crafted by special craftsmen from Gujarat adds a charm to the sitting room of this suite . The privileges of the guests of Presidential Suites include dedicated butler, Champagne check-in, access to the Jacuzzi, swimming pool and steam room of the Spa, special momentoes for the guests and more. Part of the ‘Khwab Mahal’, these spacious luxurious suites are tastefully furnished and elegantly fitted with a warm ambiance that is a blend of modern world-class comforts and luxuries, an ideal option for executive travelers. The suite comes along with a separate bedroom and a living area, along with a dedicated workspace so that you can stay connected to your work, even when you are on a vacation. These suites come with a number of privileges and compliments such as in-room check-in and check-out, floor-butler service, complimentary internet usage at the Business Centre (half an hour) per stay, airport assistance on arrival/ departure, access to the swimming pool and gym, complimentary laundry, 42 inch plasma TV with DVD player etc. The spacious Mughal Chambers offer a comfortable stay to both executive as well as leisure guests, filled with ultimate luxuries. The guests staying in these suites can indulge in personalized services, entertainment options, state-of-the-art business amenities coupled with a long list of world-class hospitality services. These well-fitted rooms come with 42 inch plasma TV , option of king and twin bed, Access to the fitness centre and swimming pool, complimentary buffet breakfast at the buffet restaurant, express Personalized check-in and check-out, complimentary laundry and ironing, internet usage at Business Centre (30 minutes) per stay and more. 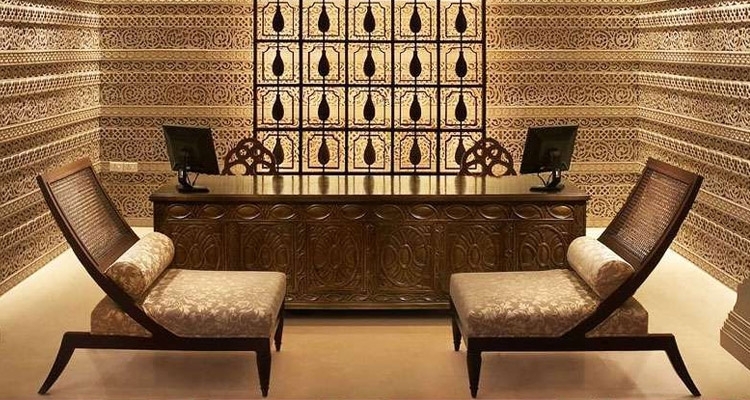 Avail privileges of warm Mughal hospitality and world-class comfort in the intimacy of your huge Mughal rooms that are very well-fitted with several in-room amenities and contemporary business facilities. Guests in these rooms can enjoy a number of services and amenities including access to the fitness centre and the swimming pool, high -speed internet access (surcharge), complimentary coffee/ tea maker, complimentary mineral water – 2 half litre bottles in the room, per stay, choice between twin and king- bed, seasonal fruit platter (on request) and so on. At Peshawari, the master chef and his team prepare sumptuous and mouth-watering array of vegetarian and non-vegetarian kebabs from the North West Frontier. This award-winning restaurant serves delicious savories from the clay tandoor. The menu also includes a host of fresh Indian breads and other Indian curries along with a selection of wines and other drinks. A wonderful fine-dining restaurant, Taj Bano brings along popular fares from all around the globe. Focusing on offering impeccable services and the art of cooking, this restaurant is a real delight for food lovers, serving multi-cuisine delicacies, including Indian and other famed international fares. The vast spread makes you feel like erstwhile Mughal royalty. 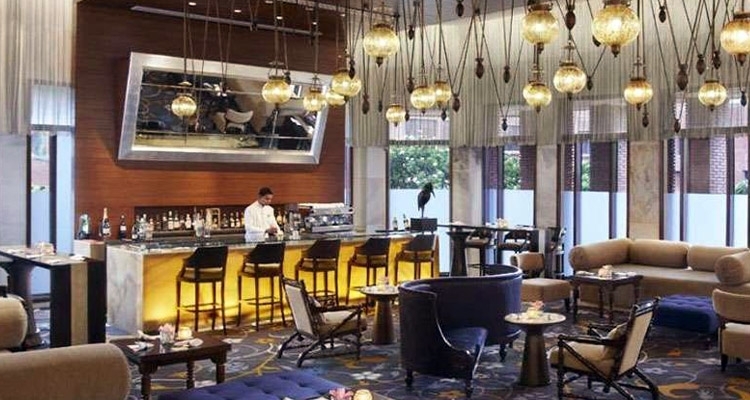 The well-stocked Maikhana bar has an exquisite modern styling, a relaxed atmosphere and a warm feel where the guests can relax and unwind in the company of their loved ones. Enjoy a selection of mouth-watering snacks and various beverages. You can pick from innovative cocktails, spirits, single malts, cognacs and liqueurs. For teetotalers, there is a vast menu of fine teas and coffees. At this 3-meal restaurant, the guests can relish an assortment of delicacies in the served buffet while enjoying the amazing view of the courtyard. Gorge on dishes of Indian, Oriental and Western Cuisine, served in an amazing modern setting, an amazing replica of Mughal architecture and a nice picture of Fatehapur Sikri. Overlooking the well-manicured Nishat Bagh gardens of the hotels, Bagh-E-Bahar Lounge takes its inspiration from the leisure sensibilities of the Mughals. The lounge has an amazing décor and consists of wooden paneling. Unwind in the chic yet warm ambiance while enjoying your favorite from a vast collection of the finest of cocktail, wines etc. This bar also serves an array of sumptuous snack bites to accompany your drinks.